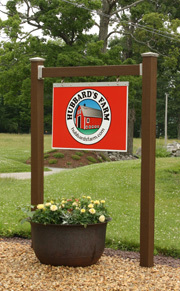 Office: 978.464.2041 or Mobile: 978.464.2866 or Email: info@hubbardsfarm.com. We accept cash, checks, and Visa and Mastercard payments. From Route 62: Do not take Houghton Road, as it does not go all the way through to the farm. Instead, take Bullard Road to Houghton Road. From Route 140: Take Gleason Road to Houghton Road. See Google map below.